Worldwide, an iPhone is known for its strength and style. Because of this, people have complete faith in this handset. If you own this device, you should get the best case to ensure you’re meeting its excellence. 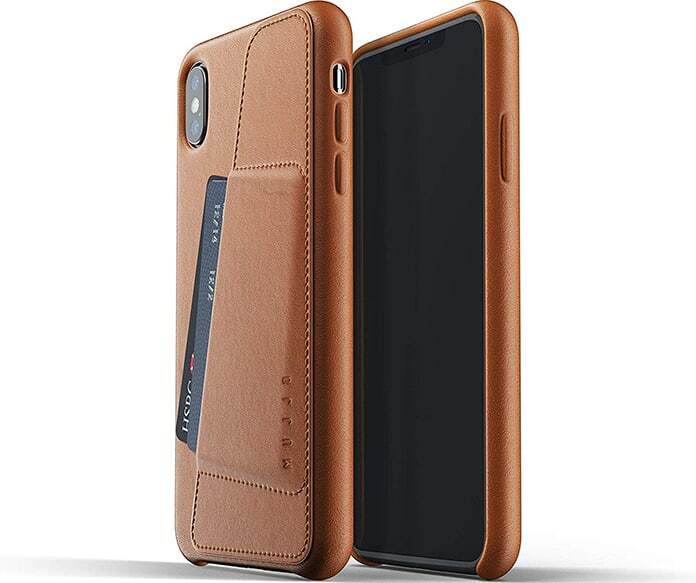 Leather cases for iPhone XS and iPhone XS Max are perhaps the best for this purpose. Leather cases mentioned in the list below are made from genuine materials and things like faux leather. They’re not only stylish but also good for people with a sensitive skin. 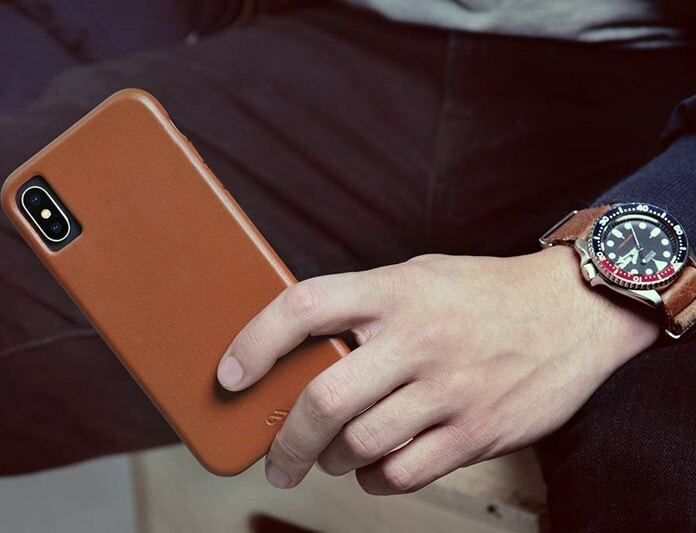 This case is wrapped in the signature leather from Mujjo. The slim design comes with holes for the Mute switch and rear lenses of the camera. Also, it’s entirely open at the bottom for the purpose of docking. Moreover, it offers extra padding courtesy of the fine microfiber it is lined with. 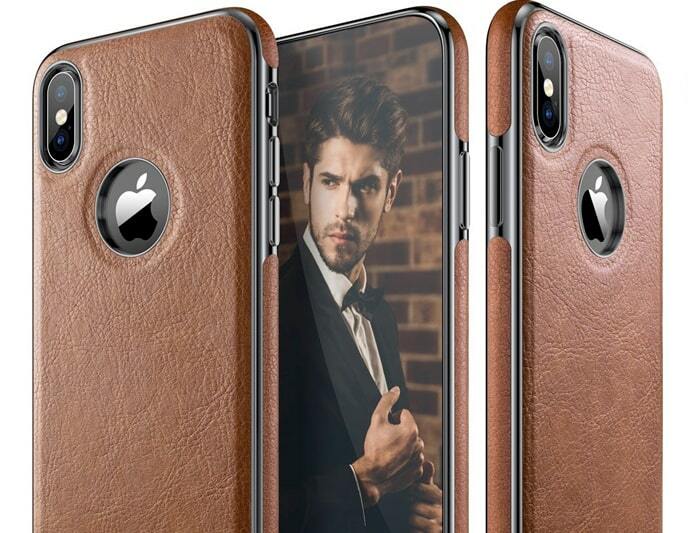 The case is available for both iPhone XS and iPhone XS Max. This case was created from Italian leather (vegetable tanned). It doesn’t come with plastic cradles or clips, so it fits all on iPhone XS, XS MAX & XR which can then be easily secured in a pocket. It’s handcrafted from environment friendly leathers (through a microfiber lining) to make it attractive and beautiful. Available for both iPhone XS and iPhone XS Max, the Nomad Rugged Case is somewhat more rigid than the other cases out there. It features a TPE bumper, a leather exterior (Horween), and high-grade polycarbonate protection. These features come together to offer drop protection for up to 6-feet to iPhone users. It’s hard to complete any last without throwing Apple’s Leather Case into the mix. 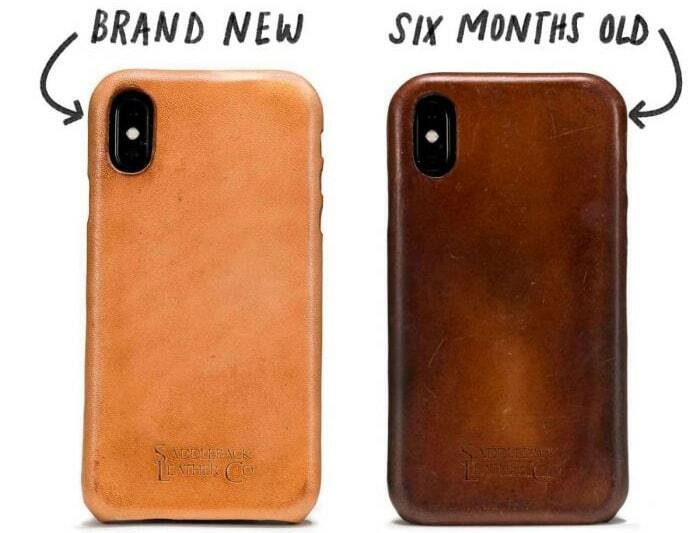 The iconic cases are made with finished and tanned European leather and are available for both iPhone XS and iPhone XS Max. Also, its internals has a microfiber lining, and machined aluminum make its button covers. 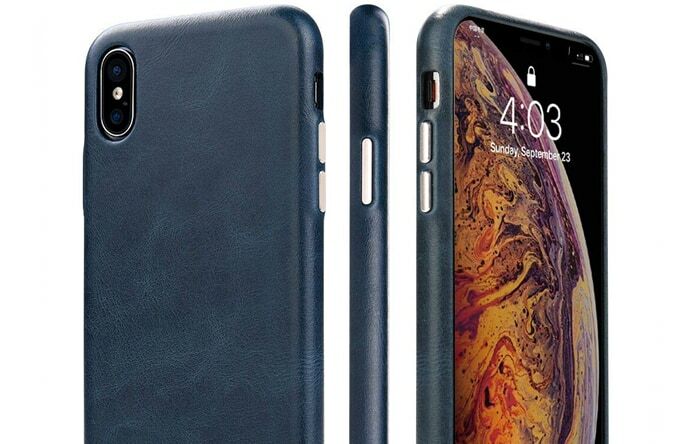 Toovren makes luxury-line leather cases for the new iPhone XS. Their line includes one from cowhide and tanned leather with zero stitching. These elements keep the case soft to touch and creates a natural patina even if it’s used for a long period. Another notable aspect of the case is that it works with wireless charges seamlessly, so there’s no need to remove it while charging the handset. 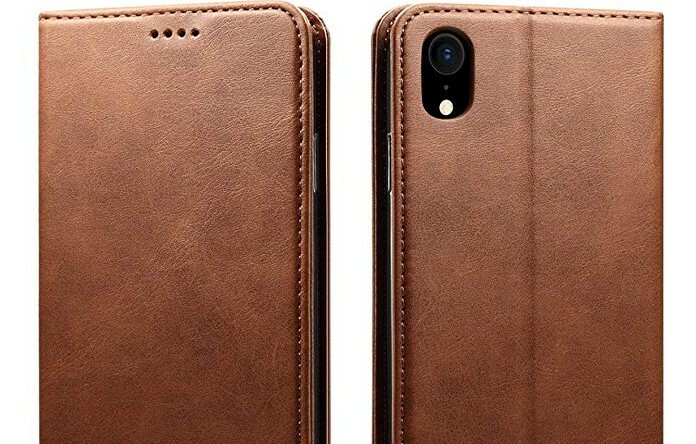 If you’re exploring leather cases for iPhone XS and iPhone XS Max, you absolutely have to take a look at Pad & Quill. They specialize in detailed leatherworks and showcase their craft on almost everything, from wallets to bags, and the same applies to the Traveler case. In terms of the cut-outs of the case, they are present at their exact location to ensure users are able to access every function with ease. 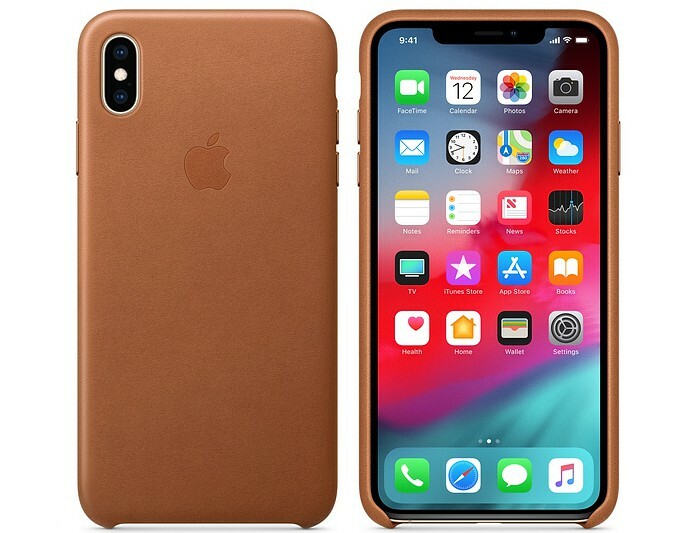 LOHASIC offers a thin leather case for iPhone XS users. In contrast to other cases on the market, this doesn’t add weight to the original weight of your handset, ensuring that your premium iPhone is able to maintain its impressive profile. Also, it was made without stitching with soft PU leather. The case’s slim profile ensures your device stays lightweight and feel good in your palm. 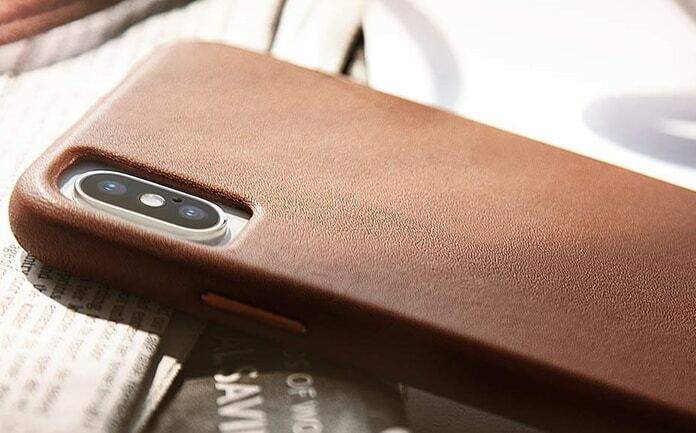 It’s not challenging to see why this leather case from Case-Mate makes the list. Its 2mm, which makes ultra-thin. Also, it’s created out of premium leather, so it offers genuine protection. Other things that make it great include openings for the rear camera, microfiber inside, and warranty of a lifetime. 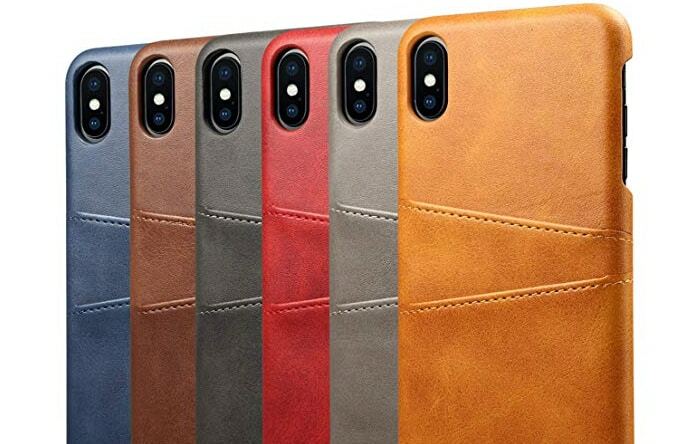 We love each of these leather cases for iPhone XS and iPhone XS Max. Which one is your favorite? Next articleiPhone XS Max Jailbreak on iOS 12 – Successful!